Although anxiety is a common issue among troubled teens, it can very easily become an obstacle that impedes their success. Anxiety if not addressed properly can deter troubled teens from taking action for the betterment of their lives. The causes of anxiety are many; however troubled teens must learn how to positively and effectively work with anxiety, in order to ensure that they keep moving forward in their actions. It is very easy for troubled teens that struggle with anxiety to begin feeling overwhelmed. In these situations many troubled teen quit trying or go so far as to cope with their anxiety through negative means. Liahona Academy is a proven therapeutic care option for struggling youth. If you are the parent of a troubled boy that is struggling with anxiety, please call now for a free consultation, dial 1-800-675-8101. It is important for parents of troubled teens to understand that anxiety is a common issue and often has certain triggers that lead to it. 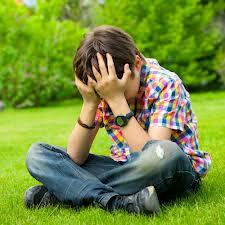 Troubled teens who struggle with anxiety and are unable to properly handle it often act out. It is for this reason that parents need to take anxiety issues seriously and seek professional care when needed. Teens, more often than not, have certain triggers that will cause them to begin feeling anxiety. Teens need to learn what triggers these feelings in order to begin working towards overcoming them. Troubled teens that are struggling with anxiety also must learn how to continue doing what needs to be done, despite the anxiousness they feel. It is not an easy task, however it is imperative to the success of your child. Parents of troubled teens with anxiety based issues can find their child help through therapeutic care options, like Liahona Academy. The professionals of Liahona Academy are prepared to help teens that are struggling with anxiety. Do not let your child continue to allow anxiety to keep them from living healthy successful lives. Call Liahona Academy now for a free consultation at 1-800-675-8101.